If you liked this show, you should follow AMAA Martial Arts Masters. Join the AMAA Martial Arts Masters Radio Show with Guest Host Professor Gary Lee. The American Martial Arts Alliance is introducing a new show " Martial Arts History and Archives. Professor Gary Lee will be the guest host, interviewing elite martial artists who are a part of the museum's legacy. He is the founder of the Sport Karate Museum, located in Sugar Land, Texas. The mission of the Sport Karate Museum is to preserve and promote the documentary and cultural heritage of the martial arts. He will be sharing valuable insight on the historical records and memorabilia donated to the Martial Arts Sport Karate Museum. The Sport Karate Museums primary responsibility is to be the source of documents that have accumulated over the course of an individual or organization's lifetime, and are kept to show the function of that person or martial arts organization. 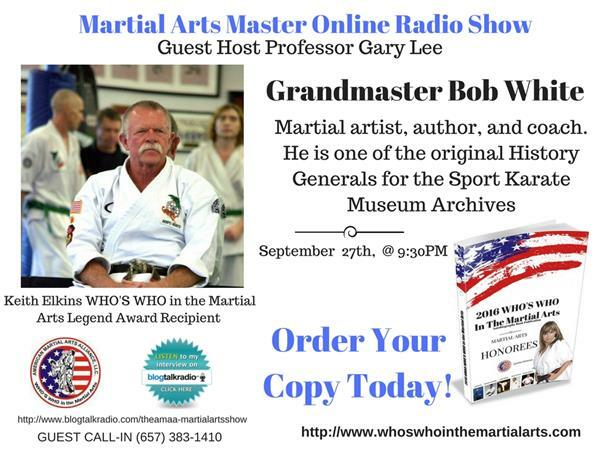 This week special guest is Grandmaster Bob White, martial artist, author, and coach. He is one of the original History Generals for the Sport Karate Museum Archives, Master Bob White has been contributing to the art of American Kenpo for over forty-years. On the tournament circuit, he won numerous state, national, and international fighting championships. He will be sharing his martial arts journey. Don’t miss this historical show. 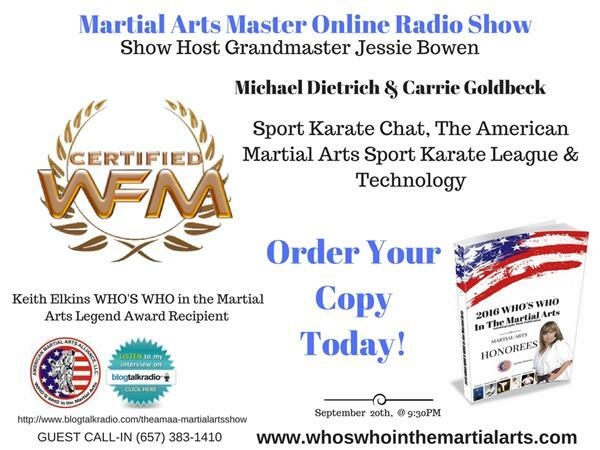 Order your copy of WHO'S WHO in the Martial Arts Book: www.whoswhointhemartialarts.com. Also nomimate a martial arts unsung HEROS for the 2017 WHO'S WHO in the Martial Arts Autobiograhy Book.